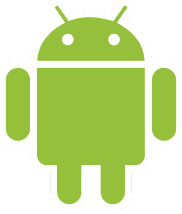 Rumor: Android 4.0 To Be Called "Ice Cream"
One of the great mysteries of our time is what the codename will be for each version of Google’s Android operating system (OS). Scientists slave away for days in labs trying to figure out the answer before Google makes the official announcement, and then some third-party manufacturer goes and messes it up for everyone. According to Forbes, ARM President Tudor Brown, who would be in a position to know, told the publication that Android 4.0 will be called “Ice Cream”. This isn’t official yet, but it is also not a huge surprise as Google has been going in alphabetical order, and there aren’t many deserts that begin with “I”. Does this some how change the world? No, but it’s always nice to have the great mysteries of our times answered … now if we just knew why they bother with this naming system. Ice Cream is not expected to be announced until mid-2011. What say you? Do you like the “Ice Cream” name?